Travel Diary: Hill Stations In India – Cool Places To Visit In Summer! There are many popular hill stations in India that are really cool places to visit in the summer. Ranging from North India to South India and East to West, each region has their own picturesque hill station to choose from. Kashmir has some of the most beautiful hill stations in the world like Srinagar, Gulmarg and Sonmarg. I have been to quite a few of these hill stations in the North and South of India; namely :- Shimla, Kasuali, Dalhousie, Mussoorie, Munnar, Kodaikanal, Ooty, and Mahabaleshwar. Each place has its own unique features and beauty that cannot be compared to any other. And due to their high altitude by virtue of their being located in the top of the mountain ranges stretched all across the Indian terrain, they offer cooler temperatures and so are really pleasant to visit in the summer. 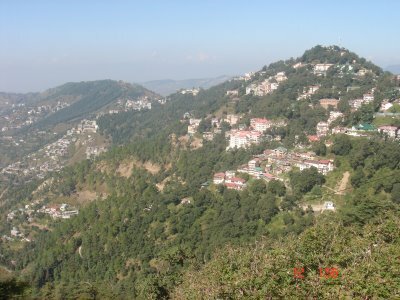 The British cleverly recognized this feature of the hill stations and were quick to establish them as their summer capitals during their Raj in India. Most of the hill stations have beautiful tea gardens (specially in the south and east of India) which stretch for miles all along the face of the mountain ranges. They are absolutely breathtaking and make the mountains look green. You will be able to see the local women busy plucking the leaves of the tea plants with a basket tied to their backs. It is very refreshing to be away from all the hustle and bustle of the city traffic and life and enjoy the quiet and peace of the hills. There are plenty of hill resorts where one can book accommodation in advance to enjoy the holiday without any hassles or tensions. Himachal Pradesh - The Mall Road, Shimla. Another attractive feature of getting to some of these hill stations are the special trains provided by the Indian Railways. They are just like toy trains but a lot of fun to travel in the mountains to view the scenic beauty on the way there. It may take longer than other conventional methods (by air or road)of getting there, but you will miss all the fun and excitement of the journey. Kids will absolutely love this ride. Some of the special luxury trains worth traveling in are: The Royal Orient Express, The Palace on Wheels, The Deccan Odyssey. 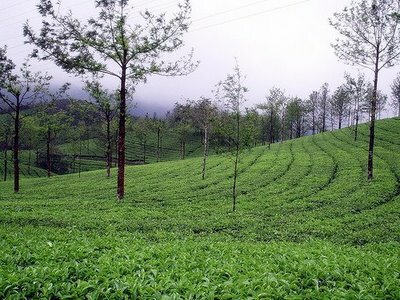 Tea Gardens of Munnar, Kerala. Once you have reached your destination there are lots of activities that one can indulge in to keep you busy. Start with sight seeing the place including all the important landmarks. There will be trekking spots if you like to take a walk in the nature, along with mountain climbing. Some hill stations, for eg. Kodaikanal and Mahabaleshwar, have a lake nearby offering water sports activities like motor boats, water scooters, paddle boats or even row boats. 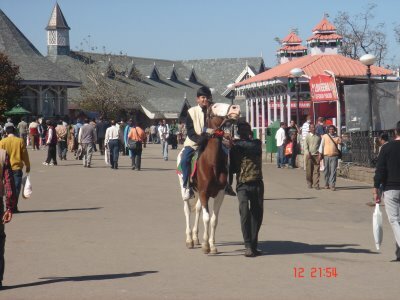 Most of the places offer horse riding activity, so you can gallop away on the roads of the hills. Every hill station has some unique feature of their own and so one can also indulge in shopping for curios or mementos to take home as fond memories of the place. Mahabaleshwar is famous for its strawberries and so you can get all kinds of jams, pickles, sauces, ice creams or plain straw berries to take home. There are even special summer camps organized in some of these places that can be booked in advance. Or, if you are the adventurous sorts, take your own camping gear and live out in the wild, although you need to be careful of wild animals as some of the places are real forests and home to tigers or leopards etc. So do find out if it is safe to camp in the area. 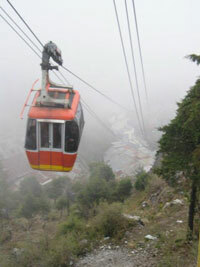 Some hill stations have rope ways to go to a place that is at a higher altitude, for eg. in Mussoorie. The place on top is like a Mini-Market and has shops for all kinds of things, and the most popular of them being the magic shops. Yes, you can buy magic tricks (they will show you how to do them) and amuse your friends with them at home. 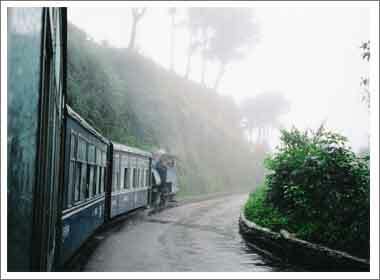 Hill stations have become a popular retreat for tourists (Indian and Foreign) during the summers. Definitely the best place to be in!